The main object of the study is focused on the research on automatic register control system for domestic gravure printing. The principle is analyzed and software and hardware integrated control system is developed, which is already used in production control to achieve high accuracy registration. The error is less than 0.1 mm when uniform printing, which reached the international advanced level. It fully proves that software and hardware integrated control system proposed in this paper is valid. 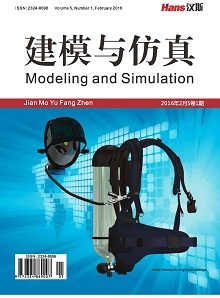 胡亚伟, 袁雄兵 (2012) 凹印机恒张力控制系统的研究. 工程设计与研究, 12, 33-36. 谢平凡, 刘曼玲 (2003) 基于PLC变频调速的包装印刷自动套色位置跟踪系统. 长沙铁道学院学报, 4, 53-57. 邓忠华, 刘建桥, 叶小萌, 等 (2006) 套色印刷系统中基于DSP的恒张力控制的研究. 电气传动, 6, 44-45. 党澎湃, 田健, 王华民, 等 (2000) 全数字凹印机自动套准系统智能控制研究. 西安理工大学学报, 3, 306-309. 李娜娜, 安志勇, 陈广秋 (2009) 自动套色系统中误差色标检测光电传感器的设计与实现. 光电工程, 6, 141-145. 贾建明, 程跃辉 (1999) 用于凹版套色印刷机的张力自动控制系统. 自动化与仪表, 1, 30-32. 陈学珍 (2005) CAN总线及应用. 电气传动自动化, 5, 51-53. 阳宪惠 (1999) 现场总线技术及其应用. 清华大学出版社, 北京. Zuberi, K.M. and Shin, K.G. (1997) Scheduling messages on controller area network for real-time CIM applications. IEEE Transactions on Robotics and Automation, 13, 310-314. Davenport, D.M. and Hoctor, R.T. (2005) A physical layer for the CAN bus using modulated PLC. Power Line Communications and Its Applications, 5, 176-180. Tindell, K., Bums, A. and Wellings, A.J. (1995) Calculating controller area network (CAN) message response times. Control Engineering Practice, 3, 1163-1169.